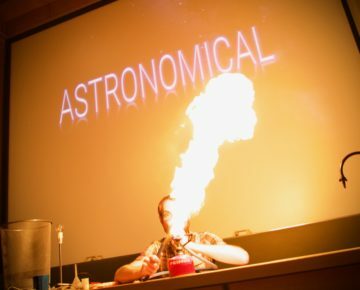 We create shows for all kinds of audiences both at science festivals and directly in schools. Using showmanship, audience participation and amazing demonstrations we show how incredible science is and how anyone can do it. Although we specialise in working with schools, we do also take corporate bookings, for more information please get in contact directly at corporate[at]sciencetheatre.co.uk. The scale of the Universe is unimaginable; just to travel across our Galaxy would take many thousands of human lifetimes. Instead, let us bring the Universe to you! Beginning here on the Earth, we visit the planets and moons of our Solar System before venturing out to nebulae, black holes and beyond. Prepare for a trip to space with this hour long show that explains everything you need to know to be an astronaut! Learn about rockets, gravity, satellites and astronaut food as well as the challenges that astronauts train for. This show includes lots of audience participation and tricks to try at home as well accompanying, optional lesson plans and experiments ideas for before and after the show. Science is full of ideas so amazing it can be hard to believe they’re not magic! 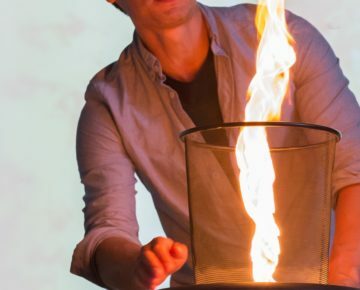 In this show, we use the most incredible experiments to explain scientific discovery to younger audiences and inspire them to learn more. 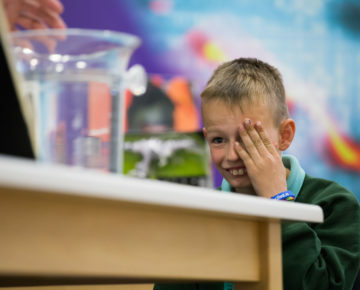 Using the most visual and surprising demonstrations, this show will leave pupils talking about it for weeks! 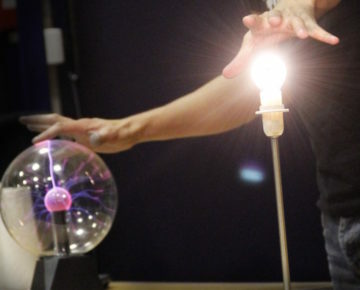 Science of the Future contains many demonstrations of science so strange you’ll find it hard to believe they’re real! This show explores many aspects of how the world will look in the future – from lasers and spaceships to cyborgs and super-materials, you’ll see how science-fiction is becoming science-fact!